ON THIS 16th OF MARCH, many are the militants and new social movements in the streets of Caracas. Hailing from Argentina, South Africa, the United States, the UK, Nigeria, Benin, Ghana, Zambia or Brazil, they have come to take part in the strong popular mobilisations to celebrate one more victory. 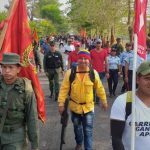 The United States were counting on sabotaging the economy and services to create social and political chaos, but they broke their teeth on the mobilised resistance of the population, combined with the rapid actions of the Bolivarian government. Add to this that the government is more than ever able to count on the renewed support of the international community: Russia has confirmed that the cyber-attack came from the outside. It wants this matter to come up soon before international legal instances. To shore up the defensive capabilities of Caracas, Moscow may deploy anti-missile protections there. China offers technological support to strengthen the Venezuelan networks. And in spite of US sanction threats, India continues to buy its oil from Venezuela. On this 16 March, President Maduro accused John Bolton of direct involvement in the planning of the attack on the hydro-electric plant of Guri. Against any further attempt at destabilisation, the President has allowed the start of large civico-military manoeuvres and the reinforcement of protections around the energetic infrastructures the Empire may target. 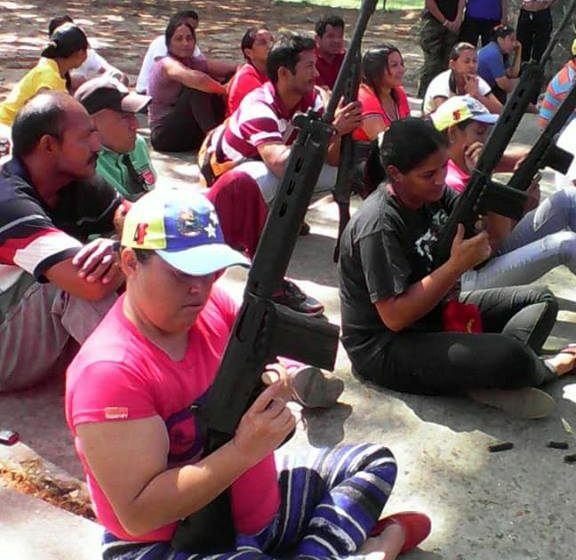 President Maduro said: “We are deepening our civico-military union in all the popular areas, the villages and the communities, to enhance our defence capacity over the whole territory”. From Thierry Deronne, Caracas, 16 March 2019, in Venezuela Infos, 17 march 2019.